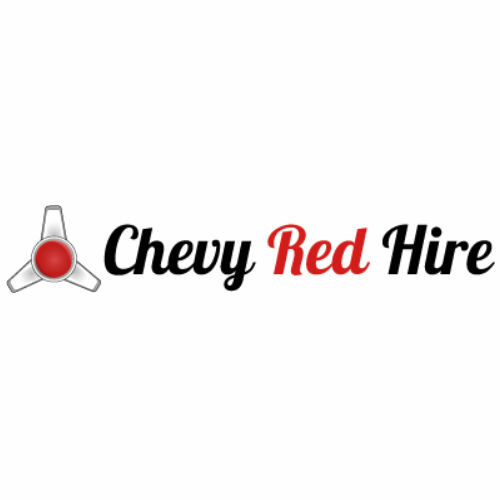 Chevy Red Hire is a friendly family business offering classic USA Chevy and Cadillac professional wedding car services. Experienced chauffeurs will happily attend to all your needs. Travel in air-conditioned comfort and spacious interiors, experiencing the very best of the 1950s. 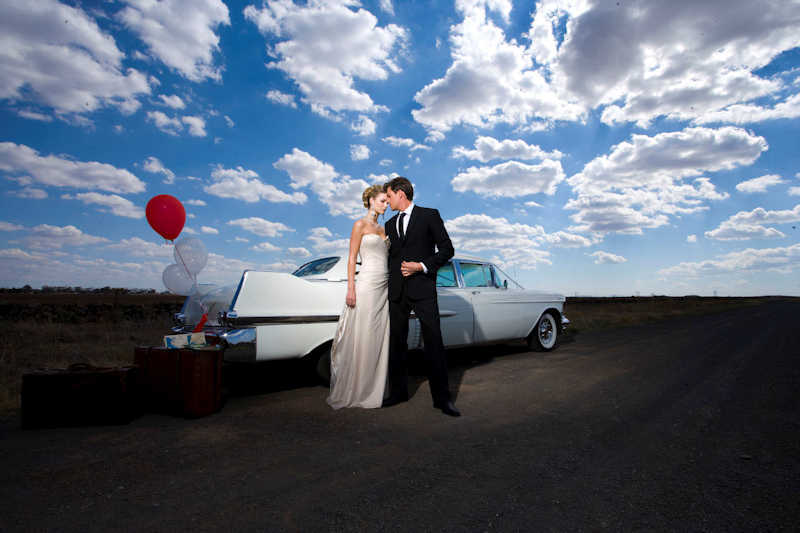 Special cars for bridal couples who don’t mind a lot of attention on their big day. 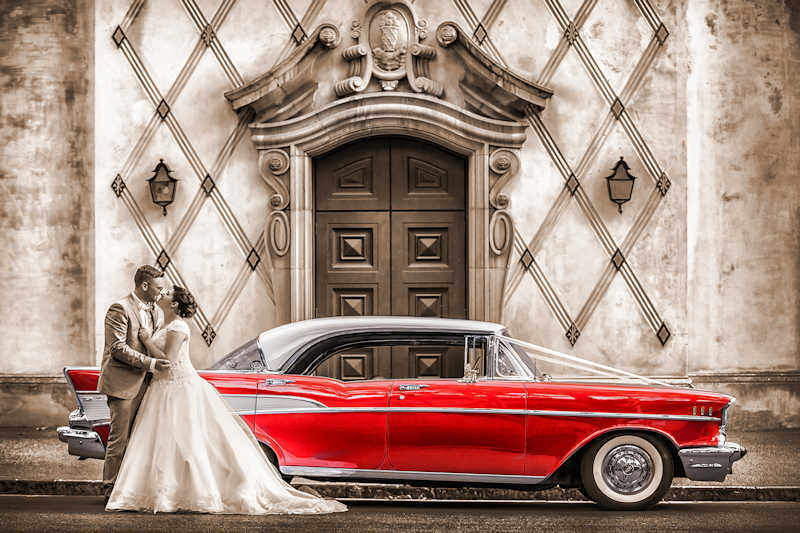 This pristine Matador Red 1957 Chevrolet Belair Convertible displays the striking looks that are as popular today as when the car was launched. 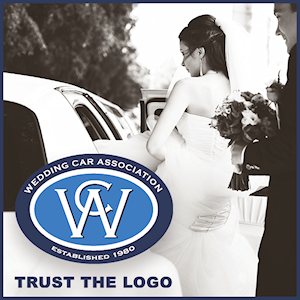 This award winning car has been meticulously restored to perfection and now your dream of having a car like this on your wedding day can be a dream come true. 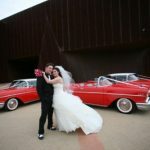 Capture everybody’s attention when you arrive at the wedding ceremony in a classic 1957 Chevrolet Belair four-door hardtop. These remarkably striking Matador Red sport sedans have been fully restored to showroom condition. It’s the ultimate in style and luxury. 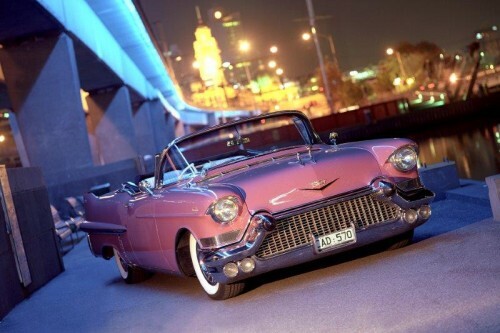 The 1957 Pink Cadillac Convertible has all the zest and spirit of youth, yet provides unmatched diginity and distinction for any occasion. This special vehicle is sleek and eye-catching in design, salmon pink in colour and impressively big and beautiful. Sink into the soft, genuine original leather upholstery of the luxurious and spacious interior which reflects its distinguished character and feel like you’ve stepped out of a Hollywood movie as you arrive at the church in a style all of your own. 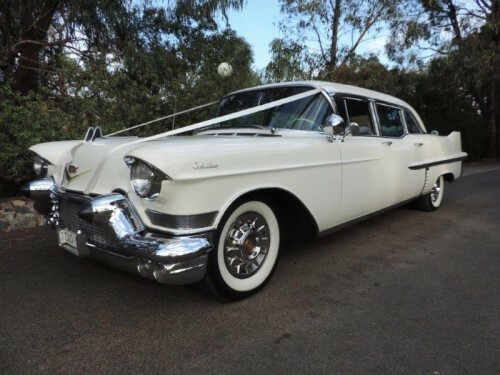 This classic and impressive limousine seats up to 8 passengers. It has a luxurious and comfortable interior, which includes the original dividing glass window separating front and back seats. 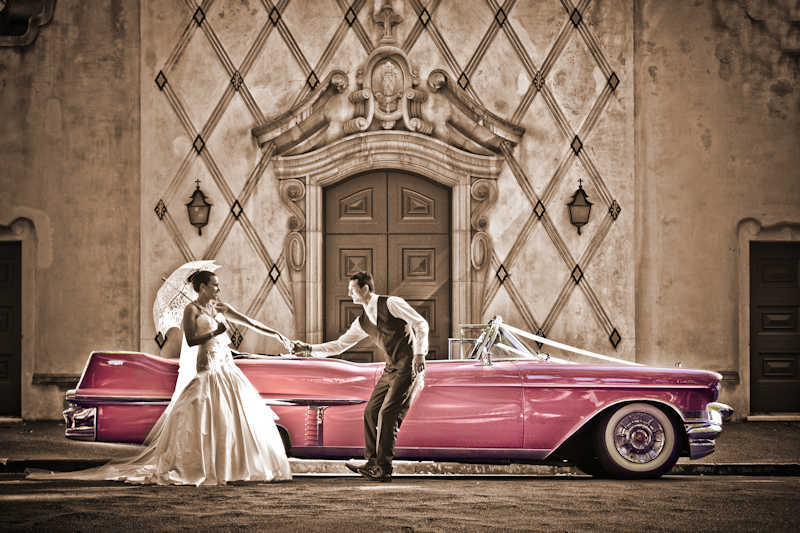 This limousine can be hired on its own or as a bridal-party car which matches the 1957 Pink Cadillac Convertible perfectly. 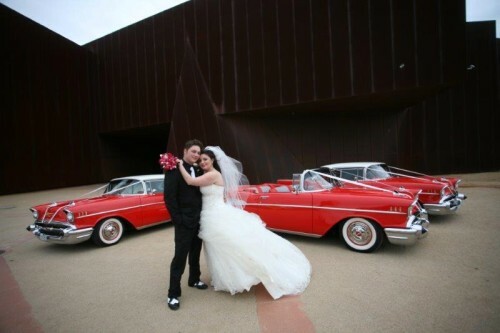 It can also accompany our 1957 Red Chevys.